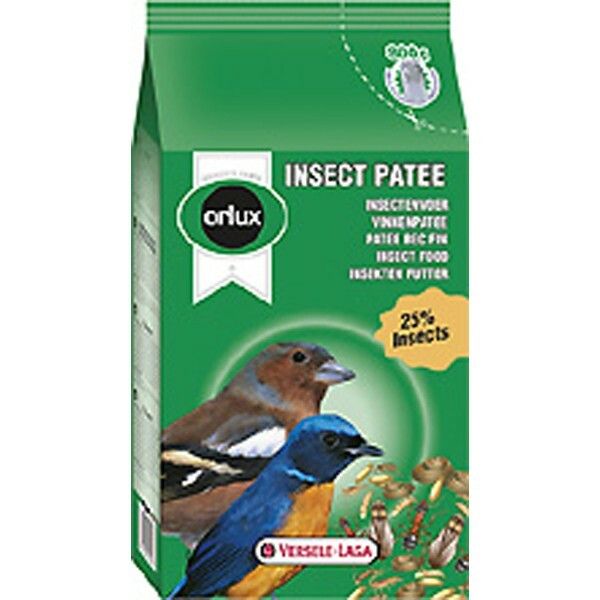 Orlux Insect Patee is a complete bird food for all insect eating birds and may be fed as a supplement to tropical and native birds, small and large parakeets, parrots, fig parrots and lories that find orlux insect patee irresistible! Insect patee is extremely rich in insects, each 200g bag contains a minimum of 25% dried insects, such as ant eggs and mexican larvae and is suitable for feeding to finches during the breeding season, due to the patee's high content of dried insects. 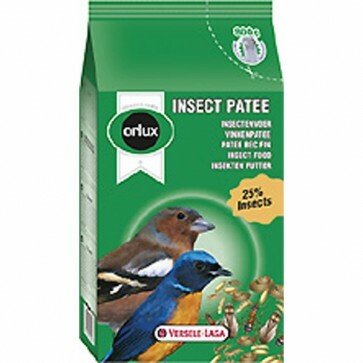 Orlux insect patee can be fed through the year to insectivorous eating birds without restriction, with live food if available. 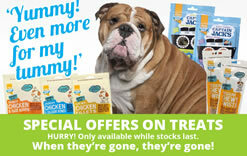 During the breeding season of british and foreign finches, parakeets and parrots it is advisable to mix the insect patee with eggfood, such as EMP that is also sold on the website!